Brushed stainless steel. 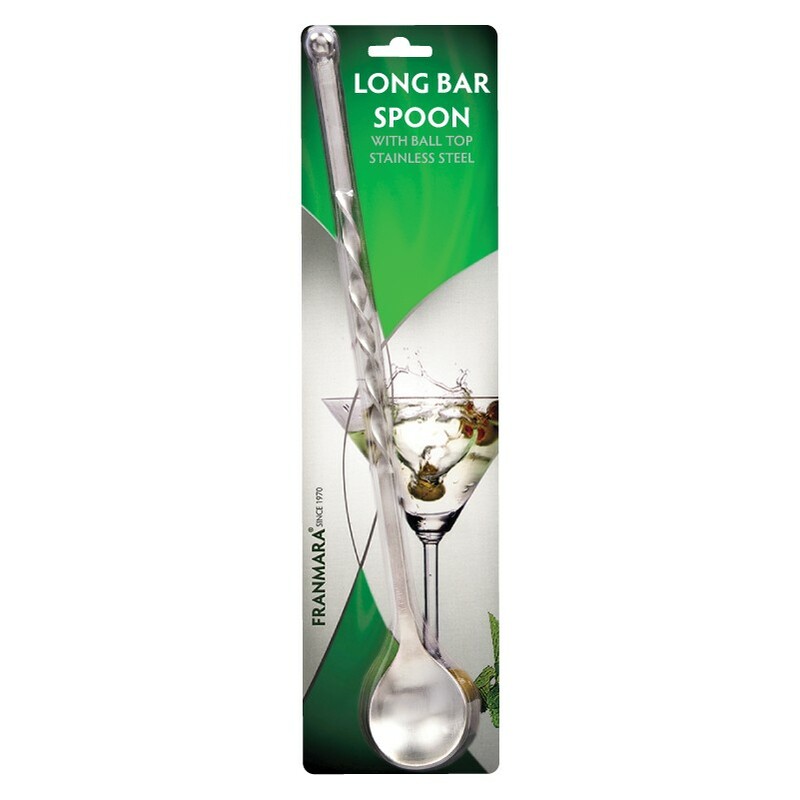 Long, one-piece 11-1/2” bar spoon with twisted handle (for easy spinning) and metal ball on top. For professional use.